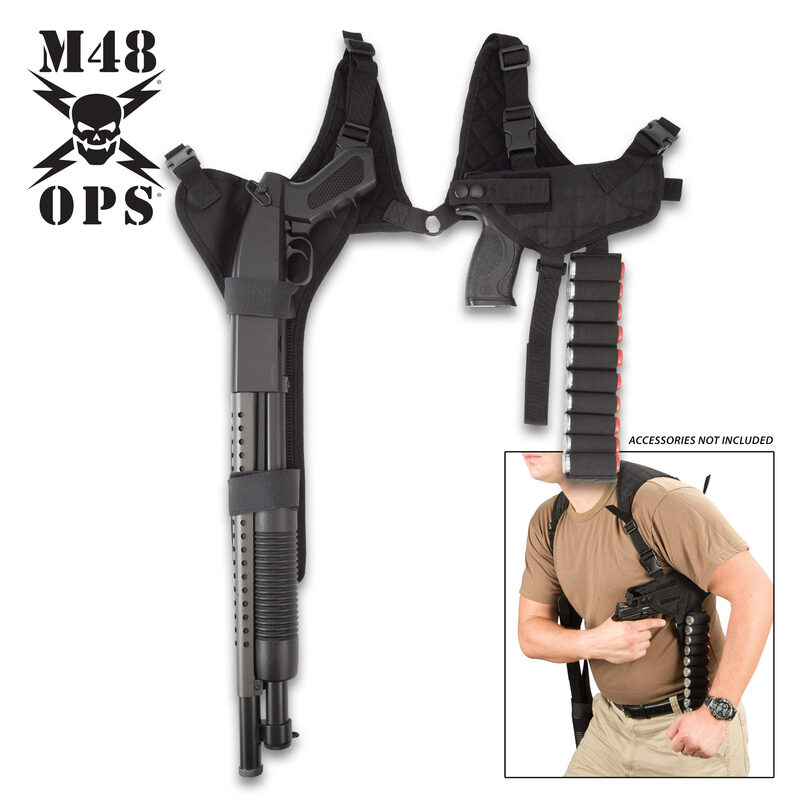 M48 OPS Universal Gunslinger Holster | BUDK.com - Knives & Swords At The Lowest Prices! 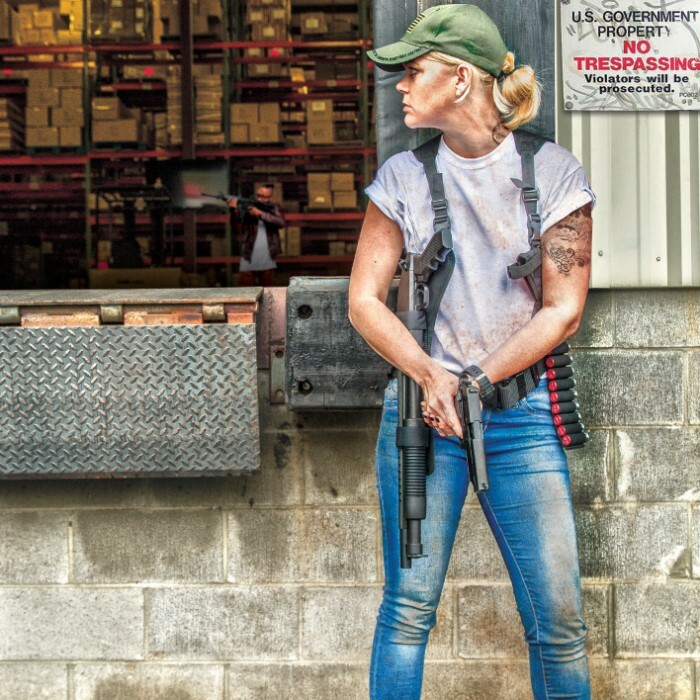 The M48 OPS Universal Gunslinger Holster allows you to blend in stealthily and stand tall at the same time! 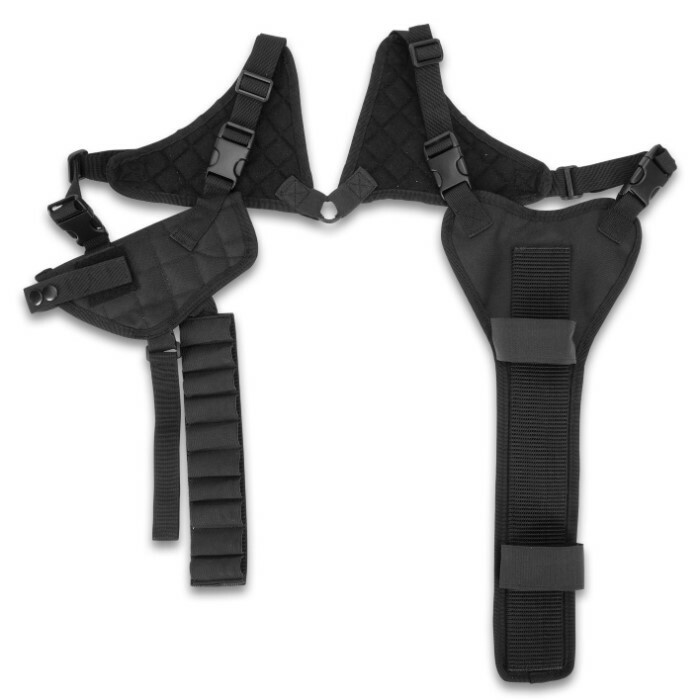 The high quality and very cleverly designed horizontal shoulder holster is just loaded with features. The universal design will fit a pistol and a long gun, plus, 10 shotgun shells while the modular design allows for both left and right handed use. Each ring includes a padded shoulder harness and is made of strong and durable nylon and nylon webbing. All components are fully adjustable with Velcro straps and plastic clip locks. Good but it could be better! The material is a little bit thin, the straps could be better fit for the arms! 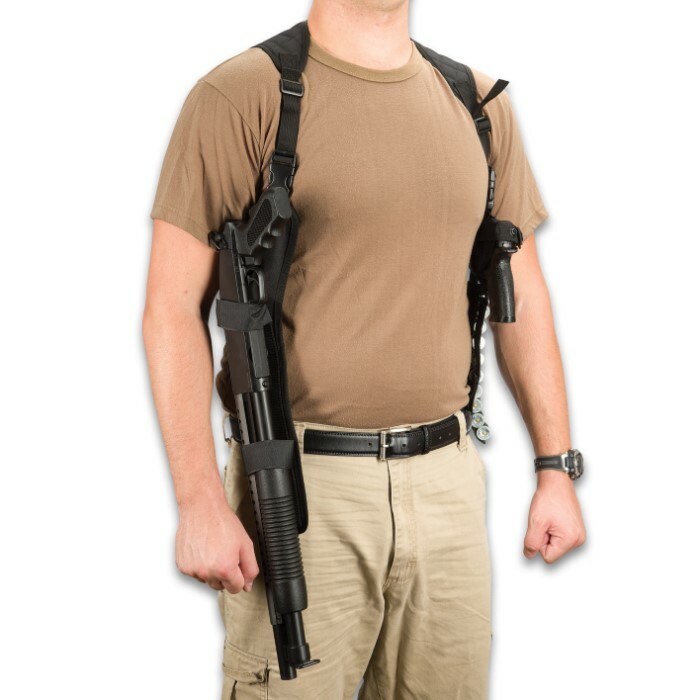 And shot gun holster could be designed for carbine or shorter rifle ! And faster release!